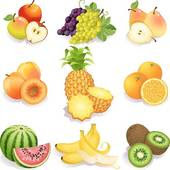 Fruits are more nutritious for our health. Nowadays, the habit of consuming fruits is totally decreasing. Let us see the nutrition and wealth what we achieve from fruits. A&B Over . . . . . Contd. As a natural foods chef, it is hard enough trying to get adults to eat healthy. Getting children to eat fruits and vegetables seems almost impossible. If you take the time now to incorporate healthy foods into your child's diet-you'll save them from a lifetime of difficulty trying to create a healthy lifestyle. Plus, children who are on a healthy diet have more energy, more focus and are more even tempered which is giving yourself a gift too. Here are my suggestions for some fun and healthy eating. Thanks.